N Blog (191128 13:15) – ‘There’s a reason for everything’ | Where's Natsuki? I haven’t eaten since morning!! 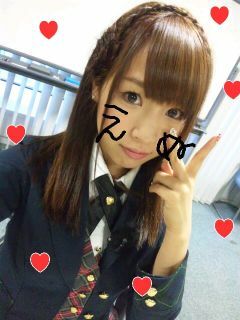 This entry was posted on Sunday, November 28th, 2010 at 5:24 pm and is filed under AKB48, N Blog and 佐藤夏希. You can feed this entry. You can leave a response, or trackback from your own site.